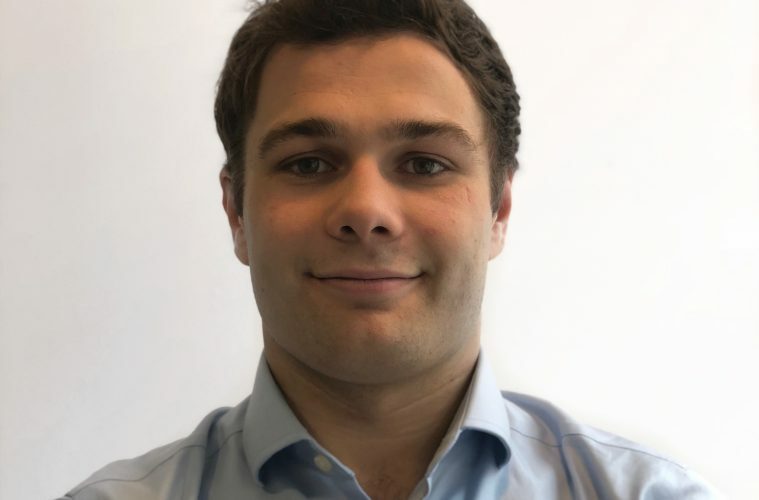 Labstep founder and CEO and one of Forbes’ named 30 under 30, Jake Schofield, talks to us about how his company is consolidating scientific resarch results data. Currently over half of all scientific results published can’t be reproduced, wasting billions and countless hours of researchers’ time. Labstep captures real-time data on the process that lead to these results so that these findings can be replicated, allowing you to share and collaborate in an easy way! Labstep stemmed from our own personal experiences in the lab and frustrations with both pen & paper and the alternative ELN (Electronic Lab Notes) software tools available. We take a different approach, shifting the emphasis away from manually writing a diary of your actions, to automatically capturing progress as you run your experimentation at the lab bench. After a long day in the lab, the last thing you want to do is spend hours typing up a diary of your observations and progress. As you run your experiments we create a timeline news feed of a user’s activities that keeps an accurate audit trail of what has been completed. This kind of timeline not only helps to radically improve information sharing within teams, but when you are ready to publish in a scientific journal you can generate a unique link to attach to your paper, this way people can see exactly how your results were produced and reproduce your findings, something that is often so hard to do currently! We’re tackling a pretty big issue, even if it’s not well-known beyond the scientific community. Reproducibility in science is one of the biggest issues you have never heard of and if we can make a dent in this it will have a huge impact. The research community is very keen to jump on board with a solution to this problem and since our humble beginnings we have now grown to be used at over 600 by PhD scientists at universities across the world. Not only are is our community expanding but average time on the platform had been increasing month on month. We see this as a positive sign that we are addressing a real pain-point and already creating value for Scientists. Our team is passionate and truly understands the problem we are trying to address and genuinely cares about and is focused on resolving it. We are based in the UK in London. The project was actually forming while Jan and many of the other team members were carrying out their PhDs at Oxford. We received initial investment from Seedcamp in March of 2017 and with their guidance we took the prototypes we had been developing and re-launched in September of 2017. The transition from idea stage and early prototypes to getting investment from Seedcamp and raising a round of funding to make the project a reality was a huge win for us. Today, with no marketing at all, Labstep has gained over 3,000 users from 600 universities globally including Oxford, Stanford, Harvard and MIT. We have lab teams working on all sorts of topics, from stem cell research to tropical diseases and this is a huge achievement in our eyes. Likewise building a group of 60 scientific advisors in London who have been instrumental in shaping the app was another big milestone. It is genuinely encouraging to hear that the tool we have built is helping fellow researchers and really resolving what has up until now been a major headache for the wider scientific community. Our product is for anyone carrying out lab-based scientific experimentation. For both academics and commercial R&D. Ensure that you bring together a great team with a range of skills that complement each other. Make sure you are addressing a real problem, both myself and my co-founder Jan really understood the pain points we were trying to address for scientists. Also listening to your user community and recognising the valuable insights that lie behind this feedback. Labstep is currently a team of 10. The team is really driven to tackle the issue of reproducibility within science, I was working in R&D as a bioscientist and my co-founder Jan Domanski was doing his PhD at Oxford University when we first started the project. There are a number of other members of the team with PhDs and we are able to blend that deep understanding of science with an awesome mix of developer and designers who really know how to build great products! Our goal is to become the default platform for scientific experimentation, providing a tool that not only improves the day in the life of a research scientist but helps makes science more reproducible! Our focus for now is on saturating the London research community and working closely with lab groups here to get as much feedback as possible to keep improving our product. With a platform like Labstep we imagine people will look back on traditional lab methods and wonder how we ever worked that way. What role do you see mobile and Apps playing in Science Tech in the next 5 years? It’s safe to say that nearly every scientists now has a smartphone and the use of tablets is also increase drastically, yet other than using the calculator they are often not used. 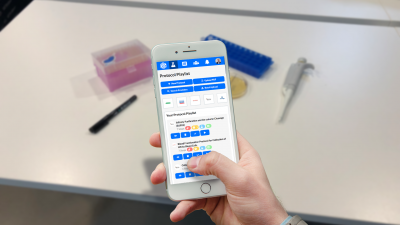 If we can provide an awesome user experience that helps you run your experiments and record your progress on a mobile device then we want to encourage more people to have designated tablets that they leave at the lab bench or fume hood. Not only will the instructions you follow automatically update and you have interactive features to make your life easier, but they are much safer. You are often dealing with toxic chemicals and worse the threat of contamination. Taking paper notebooks into this environment, and then back out again, can cause issues which would be completely avoided if you had a software tool you simply logged into, that updated your timeline for you to access later. What will a day in the Lab look like 5 years from now? We hope that it will be free of paper! Our vision is for an interconnected lab where devices are automatically uploading data to the cloud, scientists are able to effortlessly run experiments and record then share their progress in a way that can then be reproduced by others. Lab automation is an exciting possibility for the future, though I would say that it is probably going to be way more than 5 years before you see most labs having robots working away. Labstep, in building a library of step-by-step procedures for research, is going to be well positioned to bridge the gap between a researcher carrying out an entire experiment on a robot executing these steps when this time does come. Next ArticleProcess Management and Change… Do they impede each other?